Buick is big in China, which tastes in automobiles lean more towards America than Europe or Japan (huge saloons are in, tiny city cars aren’t, for instance) . If you’ve stepped foot in Shanghai or Beijing, you’d surely have noticed this Naza Ria/Kia Carnival style big, square MPV. 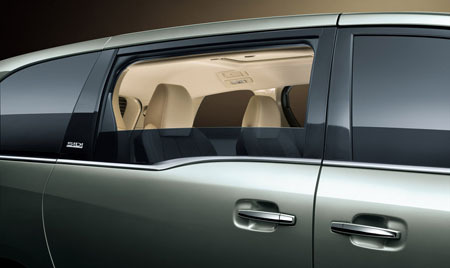 That’s the GL8, and it’s popular as a luxury people carrier for business people. While it sells well, the GL8 is terribly dated, and out of sync with other premium offerings the Chinese are lapping up. 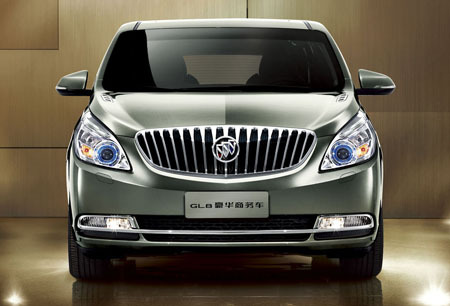 Well, the time has come and Shanghai GM has announced that it will launch the new Buick GL8 on November 28. Targeted to business users, the offers “improvements in design, power, control and technology” and will “create a new era for locally made executive wagons.” Engines options include a 2.4L Ecotec or a 3.0 V6 SIDI direct injection engine. The transmission is a six-speed automatic with Tiptronic buttons on the gear lever – an unusual layout. OnStar and Buick’s Quiet Tuning system will also be standard. From the teaser images, we can see that the production GL8 follows closely the template set by the Buick Business Concept shown at the 2009 Shanghai show. Buick’s trademark chrome “waterfall grille” is there, as is the concept’s characteristic step down in the window line, although the showcar LED headlights have been replaced by more realistic ones. View images of the new GL8 and the Business Concept after the jump.